To work progression in order to master all parts of the pitch and allow for maximum understanding of a fundamentally sound full pitch. This will allow the athlete to better make adjustments when pitching full out in a game situation. 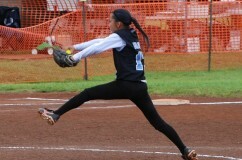 The most up-to-date pitching techniques used in college softball today are presented in private lessons, coaching clinics, and team sessions. 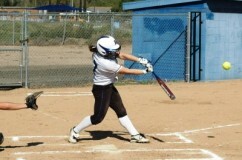 Power Line coaches bring college softball playing and coaching experience into teaching and developing these skills. This direct connection to the game and the ability to thoroughly understand the process of specific technique work provides the softball athlete the opportunity to excel at the highest level. The key to strong defense is to attack the ball. Power Line teaches that whether they are an infielder or an outfielder they should never be standing still while fielding. Our athletes need to be constantly moving, staying low, and quickly and smoothly transitioning from fielding to throwing. 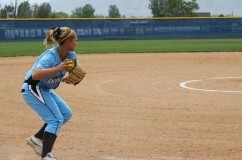 The most up-to-date defensive techniques used in college softball today are presented in private lessons, coaching clinics, and team sessions. Power Line coaches bring college softball playing and coaching experience into teaching and developing these skills. This direct connection to the game and the ability to thoroughly understand the process of specific technique work provides the softball athlete the opportunity to excel at the highest level. Exceptional catchers are those athletes who stand-out on the field with their work ethic, athleticism, personality, and enthusiasm. Power Line catcher training focuses on footwork, quickness, and skill development in order to maximize the effectiveness of their movements. 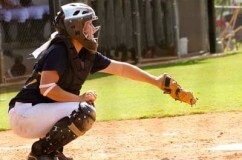 The most up-to-date catching techniques used in college softball today are presented in private lessons, coaching clinics, and team sessions. Power Line coaches bring college softball playing and coaching experience into teaching and developing these skills. This direct connection to the game and the ability to thoroughly understand the process of specific technique work provides the softball athlete the opportunity to excel at the highest level.